Well at least we took City Walk at Universal Studios. It was a great field trip so our kids could get together since they are not doing a show right now. It was a fun day followed by a nice dinner. The kids got to sing and entertain at the restaurant so they were in their bliss. The Mama’s were doing ok too with a little wine and cheesecake in them. This entry was posted in family, my life and tagged blogging, blogs, children, Drama Mama's. city walk, family, grandkids, grandmas, kids, life, love, mom blogs, moms, motherhood, mothers, my life, opinions, parenthood, passions, passions and soapboxes, soapboxes, universal studios, writing. Bookmark the permalink. 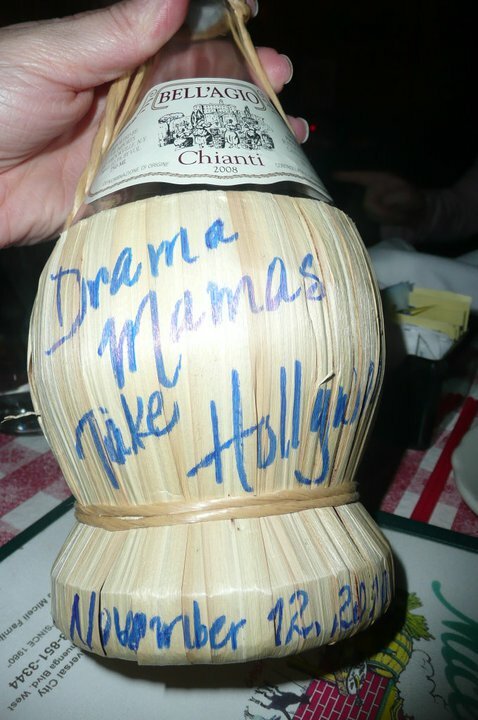 1 Response to Ths Dramas Mama’s Take Hollywood…..
Love the idea of a Drama Mama group. The possible double entendre could be very entertaining … especially coupled with wine and cheesecake!